Cookie Butter E Juice is like !!! Do you like, creamy, dreamy spread that you could eat right out of the jar! 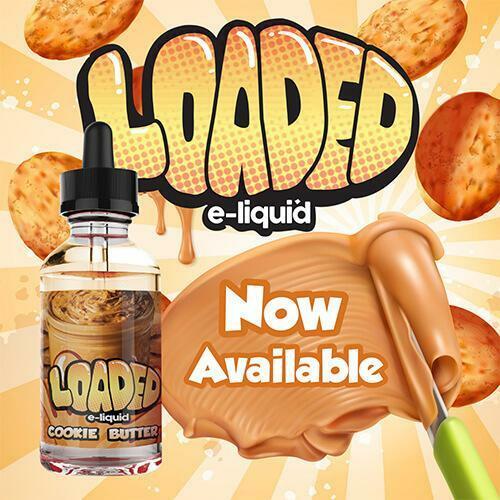 Cookie Butter by Loaded E Liquid is a peanut butter lovers dream come true. It is like Two savory and crunchy peanut cookies are sandwiched together with help of smooth and rich peanut butter in the middle for an extreme peanut flavor that will fill your senses with the delicious taste you crave. We offer top brands of E Juice or E Liquid. Hundreds of flavor, high quality e juice available at competitive prices.